Posts Pretty Little Dead Girls is on sale for 99 cents! Pretty Little Dead Girls is on sale for 99 cents! The Kindle version of Pretty Little Dead Girls is on sale for 99 cents! Don’t miss it. You can pick up your copy HERE. It’s a Kindle Countdown, so that means the price goes up by a dollar every 24 hours. You can get it for 99 cents for ten more hours. Bryony Adams is destined to be murdered, but fortunately Fate has terrible marksmanship. In order to survive, she must run as far and as fast as she can. After arriving in Seattle, Bryony befriends a tortured musician, a market fish-thrower, and a starry-eyed hero who is secretly a serial killer bent on fulfilling Bryony’s dark destiny. 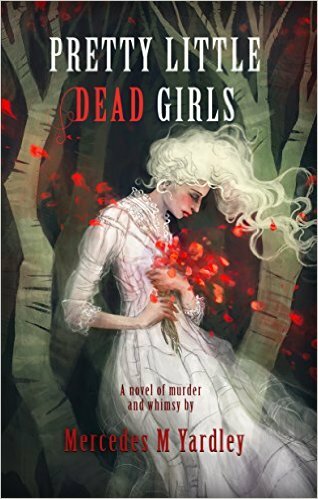 Mercedes M. Yardley’s Pretty Little Dead Girls: A Novel of Murder and Whimsy is a dark, lovely fairy tale with lyrical language and a high body count, and features a cover by Hugo award-winner Galen Dara. Includes “Oliver Bloom” by Ryan Johnson, a short story featuring characters from Pretty Little Dead Girls. I got my copy thank you. I went on Amazon but your book is at $5.39 Canadian. Is this offer only good in the US?